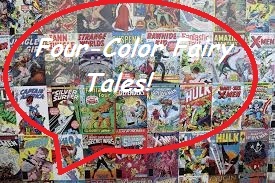 Fairy Tale Fandom: Four-Color Fairy Tales: X-Men Fairy Tales. Okay, so I went to see X-Men: Apocalypse last week and despite it being a slightly flawed (though still enjoyable) movie, I’ve been in a real X-Men kind of mood ever since. So, I figured I could binge watch X-Men: The Animated Series and X-Men: Evolution which are both very conveniently available on Hulu Plus while I ignore the need to post on my blog for another day. Or I figured I could use this feeling to my advantage. I will endeavor to do the latter. 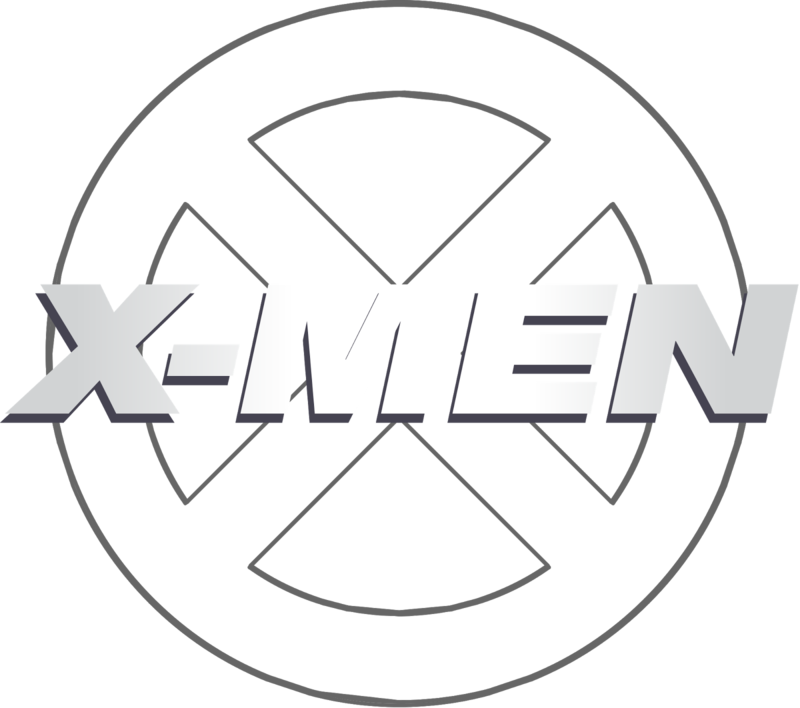 Now, I’m a big X-Men fan going back to the early ‘90s when the X-Men cartoon series on Fox Kids caught my interest. I’ve been a reader of the X-Men comic books on and off ever since. This is meant as both an assurance that I know my stuff and as a warning that if I start writing about some of the more obscure elements I might lose you. If I do lose you, then I’m sorry. To most people, it might not seem like the words “X-Men” and “Fairy Tales” go all that well together. However, to those in the know, it’s a different matter. Those two concepts actually first came together back in 1982 in Uncanny X-Men # 153 by Chris Claremont and Dave Cockrum. It’s an issue titled “Kitty’s Fairy Tale” in which young X-Man Kitty Pryde tells Collosus’s little sister Illyana a bedtime story of her own concoction. Naturally, it’s filled with characters who resemble the characters in Kitty’s life including an elf-like character called a Bamf (Nightcrawler) and the Fiend-With-No-Name (Wolverine). Even the X-Men’s jet gets recast as a dragon. In truth, while a fantastical story, it really doesn’t adhere to any major fairy tale tropes or motifs. If anything, the whole thing seems a little bit more like The Princess Bride only with more magic. However, it is fondly remembered by fans. The story also got paid homage in the fifth season of the animated series with an episode entitled “Jubilee’s Fairy Tale Theatre”. If Kitty’s version was more like The Princess Bride, Jubilee’s felt more like The Legend of Zelda. Now fast forward to the year 2006. Inspired by the classic “Kitty’s Fairy Tale”, Marvel releases a four-issue miniseries by writer C.B. Cebulski entitled X-Men Fairy Tales. 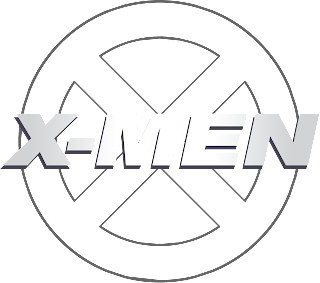 Each issue is drawn by a different artist and each story or story type is filtered through an X-Men type lens with the stories altered to reflect famous stories from the comics and the characters reflecting various X-Men characters. Was it any good? Well, I’ve dug it up out of my short boxes to find out. So, let’s start from the beginning . . .
Issue #1- “The Peach Boy”. Art by Sana Takeda. This issue is based on the story of “Momotaro”. It begins with an old man and woman finding an enormous peach floating down a river. They bring it home and open it up only to find a baby inside, as per the classic story. However, the difference in this tale is that the baby only seems to have one eye, the other one replaced by a peach pit. When the old man removes the peach pit, the baby’s eye erupts with a powerful red beam that punches a hole in the ceiling. That’s right, for the purpose of this story, the part of the Peach Boy will be played by Cyclops. In this version, the character is named Hitome, which appears to be derived from “Hitomi” which means “The pupil of the eye”. Well, points for a fitting name. By and large the story plays out the way the story of Momotaro usually plays out with a few changes. In this version, a monk who looks a great deal like Professor X recruits Hitome for the journey to rescue a red-haired princess (very clearly Jean Grey) abducted by the oni. There are also no millet dumplings. Hitome befriends the animals in other ways. The whole thing is a Japanese fairy tale riff on the original X-Men comics from the ‘60s. Hitome’s animal friends include a blue monkey (Beast), a strong, high-flying pheasant (Angel) and a white dog that controls ice and snow (Iceman). By the same token, the oni highly resemble original members of the Brotherhood of Evil Mutants Magneto, Quicksilver, Scarlet Witch and the Toad. Though, they don’t keep this consistent. They also include a cameo by bandits who look an awful lot like Mystique, Avalanche and Pyro who all premiered in the ‘70s and ‘80s. They tried to draw out more character from the three animals with how Hitome befriends them, but the strange thing is that very little of it seems drawn from the characters they represent. For example, the pheasant has stopped flying because he realizes the higher he flies the farther he could fall and has become afraid. But the character of Angel is hardly ever known for his fears. In fact, he’s known for being arrogant and a bit overconfident. Still, taken with a grain of salt, it’s really not a bad little comic and I’ll say right here that it’s probably the best of the bunch. Issue #2- “The Friendship of the Tortoise and the Eagle” with art by Kyle Baker. The story of “The Friendship of the Tortoise and the Eagle” is a largely African story that seems to have had many different versions. You can find one HERE and HERE. The version in this comic bases the story on the friendship between Professor X and Magneto. Here, Magneto is the Eagle, a bird born to hardship and violence as his family was killed by other birds. Professor X is the Tortoise, born and raised in a supportive environment but later ostracized for being different because of the strange X marking on his shell (I guess they’re going to skip over the part of the story in which the Tortoise has a psychotic bully for a step-brother who becomes the Juggernaut). Now, it may seem strange to think of these animals representing these characters, but their markings betray them. As I said, the Tortoise has a shell marked with an X and the Eagle has markings on his face reminiscent of Magneto’s helmet. I’d say more about the way the story parallels the comics, but it’s really just these two characters. Going back to the African tale, most versions hinge on the idea of the Tortoise finding a way into the Eagle’s nest and the angry Eagle throwing him out. That’s still the case here, but while the Eagle in the traditional tale throws the Tortoise out because he tricked him into carrying him to the nest, Magneto-Eagle does it because his personal demons and tendency toward violence have overcome him and he turns on his own friend. What this issue does, it does rather handily. However, there’s just something kind of odd about seeing the back story of Magneto and Professor X transformed into a simple animal fable. Issue #3- “To Die in Dreams” with art by Bill Sienkiwicz (pronounced “Sink-a-vitch”). This is the miniseries’ attempt to riff on the Brothers Grimm. The story follows a blind Tailor (Cyclops again) who is guided by a talking crystal ball . . . for some reason (I think there’s a reference I’m missing there). This Tailor manages to stumble upon a crystal casket with a beautiful red-haired princess (Jean Grey) inside. The Tailor quickly falls for the sleeping beauty and kisses her back to consciousness. He takes her back to his shop. The red-haired amnesiac slowly starts to regain her memory, but they’re soon confronted by the Butcher (Wolverine) who lets it be known that the woman is actually a princess who is possessed by a terrible witch. And . . . okay, I’m just going to say it for any of the comic book fans who may be reading this. It’s “The Dark Phoenix Saga”. It’s “The Dark Phoenix Saga” as filtered through the movie version (the much-maligned X-Men: The Last Stand was released the same year) and then filtered through fairy tales. Anyway, as can be expected, the Tailor and the Butcher go on a quest to stop the Phoenix-witch and, well, the Phoenix-witch-princess character does not survive the finale. It’s really quite a somber ending. Though, seeing as we kind of stumble upon the princess randomly and don’t know much about her, it kind of serves more to remind us of the Tailor’s loneliness than anything else. Issue #4- “Restless Souls” with art by Kei Kobayashi. This issue isn’t really a folk or fairy tale derived story as much as an attempt to riff on the idea of a Southern US ghost story set in New Orleans and as such kind of breaks the theme. Don’t worry though, they try to make up for it by dropping in references to “Cinderella” and “Little Red Riding Hood” throughout the characters’ dialogue. Basically, the story follows New Orleans detective Remy Lebeau (master thief Gambit in probably his most ironic role ever) as he tries to save the life of a mysterious girl (played by Rogue) he just met. It turns out she’s a spirit medium who works with her mother (Mystique) and sister (Destiny). Word of the girl’s unique gifts has reached the ears of a strange Voodoo cult (The Hellfire Club) who abducts the girl. Lebeau, after some advice from his partner (Bishop) runs off to the rescue alongside the girl’s mother. There’s spooky atmospherics and zombies all over the place. It’s not a terrible comic. In fact, it’s rather fun. However, it would have made more sense as part of a Halloween special than as part of a fairy tale themed miniseries. Well there’s clearly one major problem with this miniseries. The same major problem X-Men: Apocalypse had: not enough Jubilee! I kid, I kid! (Though, truth be told, I do think Jubilee is an awesome character in the comics. In the cartoon series, not so much). Actually, for what strengths the miniseries had, its greatest failing is that they just didn’t have enough fun with the concept. The concept suggests something different from expected X-Men fare delivered most likely with a bit of a wink at the audience. Instead, we get some of the X-Men’s heaviest stuff from the past (the tortured friendship between Magneto and Professor X and “The Dark Phoenix Saga”) overlaid with talking animals and magic and still delivered about as seriously as a heart attack. The first issue had fun with it. The last issue was a fun supernatural adventure, despite the fact that it didn’t fit the theme. Otherwise, they just didn’t play around with it enough. I’m reminded again of “Kitty’s Fairy Tale” and what made it work. At the same time, I’m also reminded of what made the X-Men comic book series work as a whole. It all comes back to unpredictability combined with balance. “Kitty’s Fairy Tale” riffed on “The Dark Phoenix Saga” just like issue #2 of this series did. It just did it with more of a wink at the audience and a sense of fun. Yet, it wasn’t out of line for the comic book to handle it that way. While the X-Men comics have gained a reputation of being “dark”, they’re actually not without their light moments. Also, while they’ve also become known for using mutants as a metaphor for prejudice and discrimination, they have about as many space battles and run-ins with dark magic as any superhero team. It’s through balancing these things that they managed to have one of the most celebrated comic book runs starring one of the greatest ensemble casts in the history of superhero comics. Also, just as the X-Men may have gotten pigeon-holed, haven’t fairy tales also gotten simplified in people’s view of them. Whether regarded as “dark and adult” or “light and childish”, aren’t fairy tales more than these labels can really convey? Maybe, just maybe, fairy tales and superhero comics have more in common than some might think. In fact, I hope they do. After all Marvel followed up this series with Spider-Man Fairy Tales and Avengers Fairy Tales. But both of those will have to wait for future posts.